If you like to listen to YouTube music and download music to enjoy them offline anytime, you must want to find some easy ways to download and convert YouTube videos to MP3 files. Many users may have tried ListenToYouTube online application. ListenToYouTube is an online application that helps you download videos from YouTube and convert the videos to MP3 audio. You only need to copy the YouTube URL and paste it to the site. And ListenToYouTube will convert YouTube video to MP3, and enables a link to download the audio file. However, the format support is limited. And many people face the question: "I've tried multiple times to download other songs from youtube to the ListenToYouTube and it either says error failed or it just doesn't work", "I want an alternative similar to listentoyoutube.com so i can download youtube music for ListenToYouTube is not working sometimes". If you are one of them and have encountered some issues, you are lucky to be here, Now I will introduce you some tips and tricks to fix Listen to YouTube not working. The best solution to fix Listen to YouTube not working is to get help from a professional YouTube downloader. Here iTube Studio Best YouTube Downloader is undoubtedly the best video downloader for listening to YouTube. Let's look at some of its key features. 3X faster download from YouTube and other 10,000+ video or music sharing sites such as DailyMotion, VEVO, Facebook, Vimeo, Metacafe and others. Directly convert YouTube to MP3 with the "YouTube MP3" button. And it supports 1 click to download YouTube playlist, channel and category. Record any online music or video from any online video sharing sites according to your need. Convert videos into MP3 or other video/audio formats that can be played on your phone, music device, PSP, tablet or laptop and listen to YouTube anywhere. Transfer downloaded YouTube music to mobile devices like iPhone, iPad, Android phones and tablets with USB cable easily. Listen to downloaded YouTube music or play downloaded YouTube videos with its inbuilt media player without limitations of operating system. Private Mode to protect your downloaded YouTube or other media files with a password set. In order to use this YouTube music downloader, first you will have to download and install this ListenToYouTube downloader in your Mac or Windows PC. Then follow the following steps. 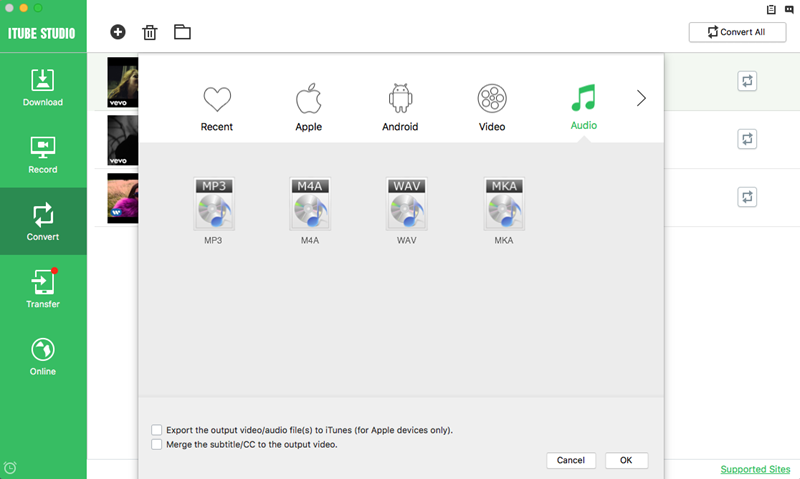 Download and double click .dmg file to start installing iTube Studio to your Mac. It comes with an installation wizard to help you complete the process in minutes. After that, a "Download" button will be added to any video on the supported sites. You can simply click the button and choose MP3 option to start downloading YouTube to MP3. Or you can use the "Download MP3" option in the main interface of this YouTube MP3 music downloader to directly download all YouTube videos to MP3 songs. This ListenToYouTube downloader lets you convert the downloaded YouTube video to MP3 in a few clicks. 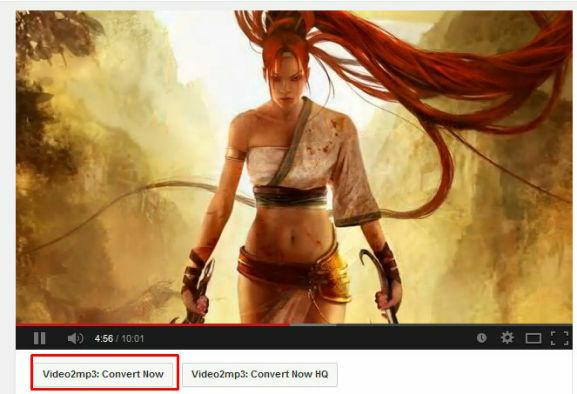 You can go to "Downloaded" tab to click "Add to Convert List" icon to import YouTube video to "Convert" menu for format conversion. Navigate to "Convert" menu, try to find your video which is waiting for being converted. Find the video and click the "Convert" icon on the right of this video. 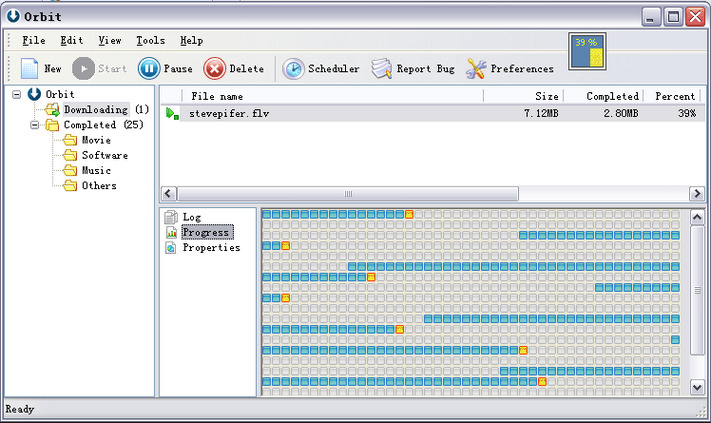 Go to choose the output format in the pop-up window. In this situation, you can select "MP3" format and click "OK" to start conversion. If you're using iPod/iPhone/iPad, you can also directly transfer this converted video to your device with this software. After you convert the YouTube video to MP3 file, you can find a "Add to Transfer List" icon on the right of the file. Click the icon to add the file to "Transfer" menu, and open this menu to click "Transfer" icon, then you're ready to sync MP3 so you can listen to YouTube music fast and easy. This YouTube MP3 downloader also provides you with a "Download then Convert" feature so you can directly save YouTube as MP3 file. To do so, activate this special mode first. Just click the "Download then Convert" button at the top right corder. In the resulting windows, choose MP3 from Audio category. After this step, anytime when you click the Download button in your browser, the YouTube video will be saved to MP3 format. To change it, just switch off the "Download then Convert" option. Even you're in "Download then Convert" mode, you can click the "Paste URL" to add YouTube video to the "listen to Youtube" list. iTube Studio for Mac is the best alternative to ListentoYouTube. It Works well with YouTube and other 10,000+ sites and supports 4K video downloading. This YouTube downloader has the ability to convert videos to the most popular formats and offers presets for various mobile devices. You can save your time by downloading and converting multiple videos at the same time. You can also schedule computer to automatically shut down when the download is finished. Just take a trial. XYDownloader is another best Listen to YouTube that lets you to download videos from YouTube, Facebook, Yahoo, Vimeo, Break, Adult video sites and 1000 more other sites. You can conveniently convert the videos to any format or directly to your devices like iPhone, Android, and more. 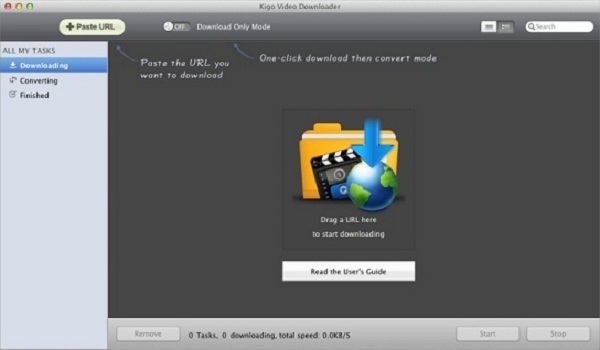 With XYDownloader, you can download batch videos and record videos from the sites that do not allow download. Try it now. Apowersoft Video to MP3 Converter can coverts videos from both the computer and the web to MP3. You can searches for music from the web. It come with multiple audio output settings and has a screen recorder tool. However, the screen recorder can only be used online, this means that for you to be able to use it you have to be connected to the internet. Kigo Video Downloader for Mac downloads videos from popular video sharing sites and converts videos to MP3, AVI and other formats. It also support presets for some mobile devices. However, it sometimes slows the computer down and does not work well on older operating systems. YTD Video Downloader for Mac has the ability to download videos that have different definitions. You can convert videos to several formats. But it does not have the ability to integrate with the web browsers and the customization capabilities are few. ClipGrab can download videos from many sites like YouTube, Vimeo, Metacafe etc. It works very quickly and easy to install. You can convert downloaded videos to some formats. However, it is limited format choices and does not work on all iOS systems. And the audio takes a bit to load. This is another great alternative to ListenToYouTube app. It is a great YouTube Video Downloader that allows you to save YouTube videos that you love to your Mac so that you can play them at your own convenient time. One you have saved the videos, you don't require internet connection to play them. You will be able to play them even if they are already removed from the original website. This great YouTube downloader can handles 4k Ultra HD videos and Full Hd. You can resume interrupted or paused download. 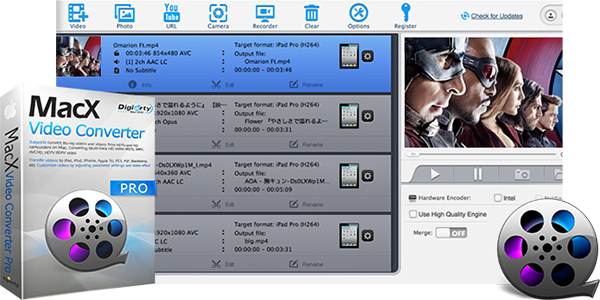 You can as well choose the format that you want such as FLV, MPA and 3GP and the resolution too. 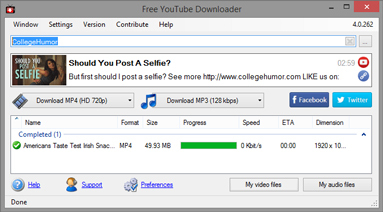 This is for sure a great video downloader! This is another great Alternative to ListenToYouTube app. It allows you to download YouTube videos and videos from other video sharing sites. You can type the keyword of the video that you are searching for in the search field. It also can sort the videos according to the most viewed, recent, most popular, popular in HD etc. The YouTubeHunter app also allows you to either download in video form or in audio form. This is typically a wonderful app. This is a great alternative to download YouTube music for Mac. It not only allows you to save videos from YouTube alone, but it can also be used in Vevi, Facebook, Vimeo, Dailmotions and many other video sharing sites. It allows you to download YouTube videos in different formats and resolutions e.g. HD videos in 4k/5k/8k Ultra HD, 720p or 1080p. However, no app lacks weakness and in this case MacX is no exceptions. For instance, if you have low internet connection, you the downloading process may take longer time. This is another option that you can use to download YouTube video to your Mac. You can as well convert the videos to your portable devices and even format them to play in your PC using the FLV player. You can take advantage of the free version of the Wondershare app or use the paid version which offers better experience. You will be able to download videos from various video sharing sites, convert tracks into various formats and also extract audios from videos. This is great, isn’t it? To be able to download videos, you can choose to paste the YouTube link into the app or use the Download button that appears on the internet browser. 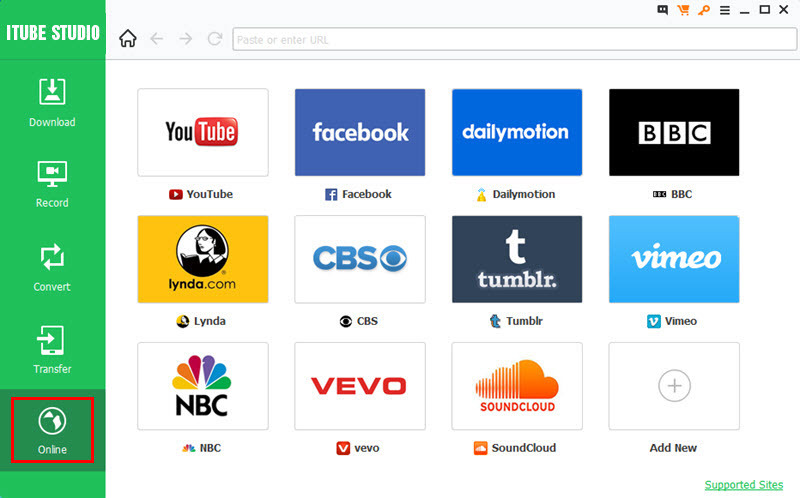 iTube Studio for Windows works perfectly with thousands of sites. You can download videos with selected resolution, including 4K UHD and download YouTube to MP3 in one click. It supports downloading and converting multiple videos at the same time. And it has the ability to convert videos to the almost any format as well as offering presets for a variety of mobile devices. What is more, it integrated with media player and web browser. 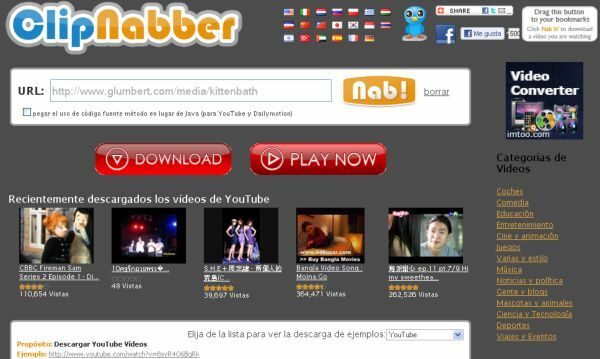 aTube Catcher downloads videos from many social web sites and can convert videos to plenty of formats. With it, you can can export videos to your mobile devices and burn videos to DVD. While it has a lot of bugs and always fails to download videos. MP3 Rocket can download music from various sources. And you can convert videos to MP3. While the basic version is very limited. It will add unwanted toolbar to your browser after installation. Sometimes the audio quality is not satisfied. YouTube Downloader supports multiple sites and converts videos to some formats. You can select the quality of output files and import existing videos for conversion. But the customization capabilities are few. And it only works with YouTube. And you cannot download and convert videos in batches. 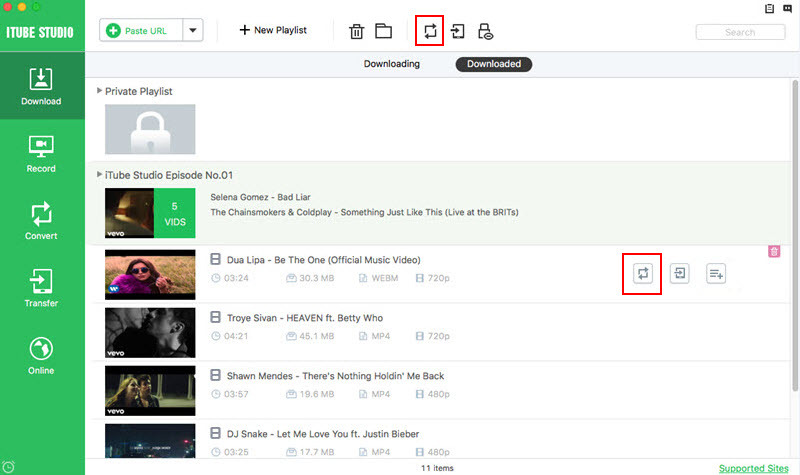 Orbit Downloader can download videos and music from many social sites. It integrated with web browsers. And it is speedy and very easy to use. However, it does not support torrents and sometimes it responds so slow. What makes it inconvenient is that it cannot work with Firefox. This is a great free YouTube video downloader online website. It allows you to download videos from various video sharing websites such as Metacafe, YouTube, Dailymotion, Vimeo, Veoh, eHow, and many more. 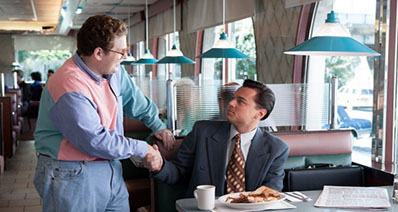 You can as well save the videos in various formats such as FLV, WMV, MOV, AVI, or MPG. You can also choose the quality of the video that you want before beginning to download it. This is a very wonderful website that allows you to download YouTube videos and convert them in FLV format. It can also download video from other common video sharing sites such as Matacafe, Veoh, Dailymotion and many other similar websites. 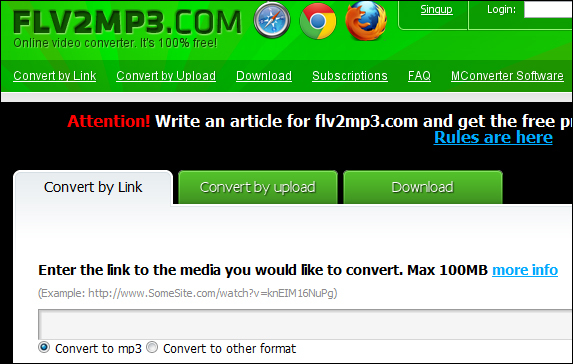 FLV2MP3 is a site like ListentoYouTube and can convert videos with simple copy and paste. It provides multiple audio formats for output files. But it may take over your browser starting pop-up. 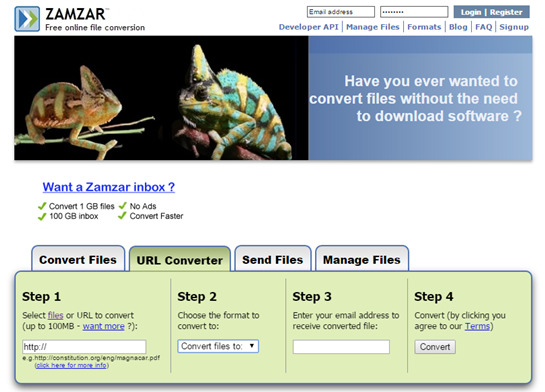 Zamzar is speedy to download from various sites and effective when it comes to converting video files. It provides lots of media formats. However, some of the converted files do not work. And the conversion has been limited, this is because of the 100MB. Video2MP3 is easy to use and can downloads videos that are of a high quality. But it needs some enhancements. Since there are hundreds of YouTube downloader sites as well as YouTube downloader applications that allows you to listen to YouTube, you might have difficulty to choose which one is better. But after comparing the desktop downloader and the download sites in this article, thing will become clear. The file size can only be small. The downloaded quality is low. You can only download 1 video at a time. For other YouTube downloader software, they will be unqualified once YouTube updates. So iTube Studio Best YouTube Downloader will be the best choice for you. It not only allows you to download and convert YouTube to MP3, but also convert YouTube to all popular video and audio formats, and download video from over 10,000 sites like YouTube, Vimeo, Metacafe or Facebook. Your music library will be virtually unlimited. If you would like to download music from YouTube, iTube Studio is a good ListenToYouTube alternative for both Mac and Windows users. ListenToYouTube is very fast when comes to converting video files. The problem is that the free version does not convert the video. However, there is nothing to worry about because there is a full version that you need to pay for once you have the paid version you can to be able to convert as many videos as you wish to. The solution for the converting problem is to turn to the iTube Studio. Listen to YouTube only supports one major audio format, which is MP3. This is a limitation for a person that wants to use other formats. The solution to this problem is to use the paid version of the application but if your budget is tight and you do not have the money to spend on a video downloader you can use iTube Studio Listen to YouTube, which is actually a very good alternative. There are some YouTube videos that can be accessed from specific countries if you are not in one of the countries you will not be able to grab the video. The solution to the problems above is only one and this solution is for the first cause of the error. What you can do is wait for a short time because it is a temporary problem. With the other causes of the problem nothing can be done. This might be because one of the download servers is down temporarily or the source of the video file that you are downloading is broken. The solution to this problem is to click on the download not working link. Once you do this, the process is going to be cleared and the video that you were downloading is going to be converted again, this will take place in another server.